Today we got the comforter! We love, love, love it. I’m just a little excited about it. Can you tell? The rope fabric was Steven’s must-have request. 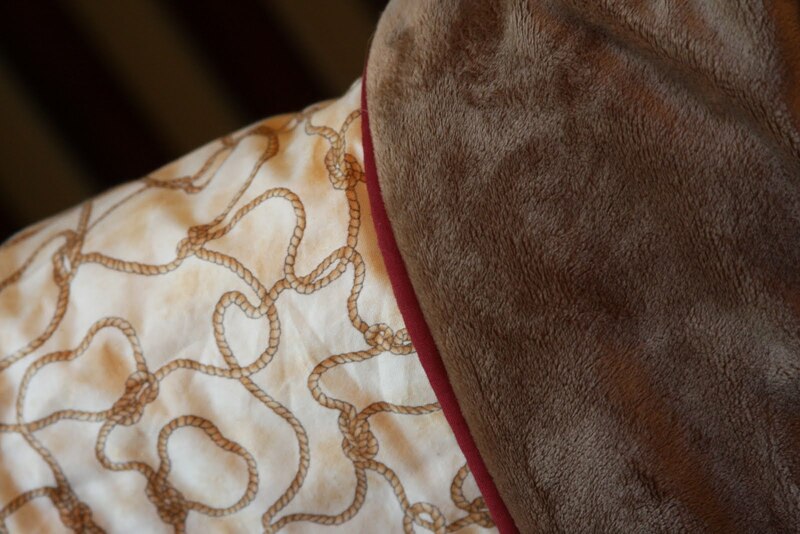 I honestly wasn’t really crazy about it when I saw the sample online, but once the actual fabric came in, I liked it. Now that I’ve seen it in use, I love it. 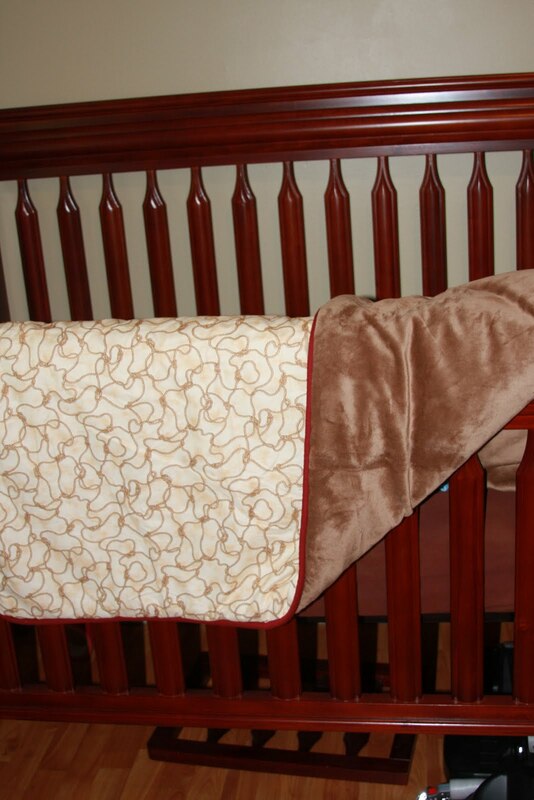 Want your little one to have custom bedding? Contact Lori at Institches. She’s super talented. That looks so cute. I love that it's custom. Very neat!